And you should never leave a soldier behind. This article is part of a series on learning long-form improvisation. AS OUR SHOWCASE draws ever closer, we’re getting a clearer outline of what we’ll have to do on the night. During this week’s class we performed our first montage. We’ve performed scene after scene in quick succession before, but this was the first time we cut them ourselves – as opposed to the tutor. It’s also the first time we’ve been inspired by a single word – ‘holiday’ in this instance – as you would be in a show. We had a couple on a walking tour before moving on to a noisy nightclub in Ibiza, and a whole range of other scenes. When any performer decided that the scene being played out should end, they ran in front of the characters – who immediately cleared the stage and two new people entered. The goal is to end scenes on a high point and leave the audience wondering ‘What was about to happen next?’ It’s not always clear when that is, but this is something we’re told will come easier with practice. Our teacher, comedian Danny Kehoe, let a good few scenes run into each other before he gave feedback. He compared a montage to repeatedly switching the channel on a TV station – you get a new scene every couple of minutes or less. Danny encouraged us to pick up on the offers people on stage gave us – either inadvertently or on purpose. For example, if someone comments on how quiet it is, it’s the perfect cue for someone offstage to shout out something. When waiting for your turn on stage, you stand to the side and make sounds effects where appropriate – for example, does a scene need music or a dog barking? In one particular act there was a young boy trying to score a point at basketball. His mother was encouraging him, but he was really not doing well. His shots were all over the place. As the scene went on, other characters joined in to make fun of him. We entered and exited pretty quickly so we could add to the scene but not become the entire focus. Afterwards, Danny said this was a good example of figuring out what the ‘game’ is in a scene. Once you spot it, you start to play it and others join in. Below is an example of the montages I’ve been more familiar with to date. Other techniques that work in an improv montage are recurring characters and gags. If you played a distinctive character in a previous scene it can be a good idea to bring them back five or ten scenes later. Maybe they’re dealing with the same issues or they could be in an entirely different scenario. Danny told us about a 26-hour(!) improv session he was involved a few years back. The running gag was that his character never got to speak. So in every single scene, just before he was about to speak, he was interrupted or the scene ended. This type of repetition gives a nice flow to scenes, and can be very funny. 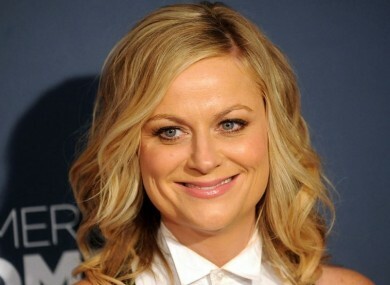 In the below video, comedian Amy Poehler speaks about her love of long-form improv. She one of the main people who sparked my interest in the practice in the first place. She co-founded the improvisational and sketch group the Upright Citizens Brigade. You can watch some of their work below. In the Charlie Rose interview, Poehler also talks about a big ‘no no’ in improv: deserting your partner. This comment reminded me of one of the first pieces of advice we were given when we started these classes: Always try to make your partner look good, and they’ll do the same for you. Whatever happens, we’re in this together. More information on long-form improv classes at the Gaiety School of Acting is available here. For those of you looking for a video of my exploits, that’ll come at the end of the series. Read the rest of my improv diary here. Email “'You find the game, then you play it'”. Feedback on “'You find the game, then you play it'”.